Amid the various calls for a black, female or transgender actor to portray James Bond once Daniel Craig gives up the role, the Daily Mail offers a piece on Ralph Fiennes (seen in the above and below photos with Daniel Craig), who states that the character of James Bond should remain a white Brit. The actor, who portrays M, the head of the Secret Intelligence Service in the James Bond film series, said that Bond should be true to author Ian Fleming’s vision.. 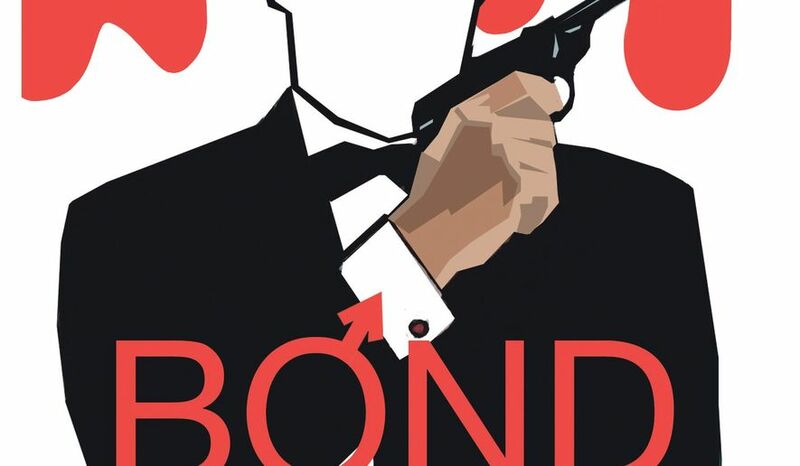 He took over his pivotal role in the Bond movies from a woman. 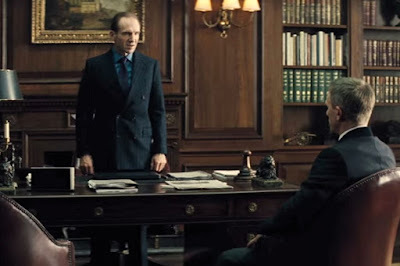 But Ralph Fiennes has walked into a major casting row by saying that 007 should never change gender. Nor, he believes, should James Bond be played by a black actor. 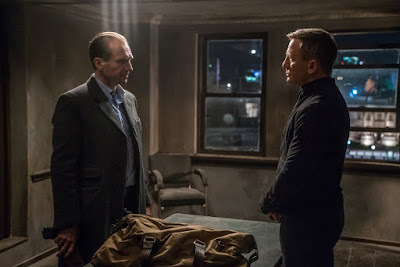 Fiennes, who succeeded Dame Judi Dench as spymaster M, insists black or female stars should be given their own action films to showcase their talents, away from the Bond franchise. ‘I would like to see a great black actor inhabit a Bond-like persona,’ he said. ‘But not necessarily be in the same franchise. Ralph Fiennes says James Bond should remain a white man and black or female actors should be given their own action films.